The top-ranked Wisconsin women’s hockey team (20-2-0, 10-2-0 WCHA) fell to the No. 5 ranked Ohio State Buckeyes (15-7-0, 9-5-0) in Columbus Jan. 11. A 1–0 loss, the Badgers were shutout for only the second time this season, with the first coming at the hands of No. 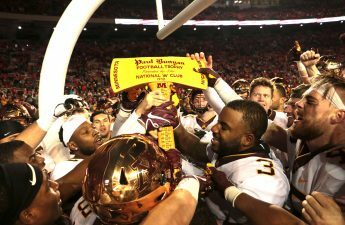 2 Minnesota on Oct. 27. Despite the uncharacteristic loss, last Saturday’s showing against the Buckeyes was certainly not representative of the season the Badgers have had thus far, nor the season that could lay ahead. 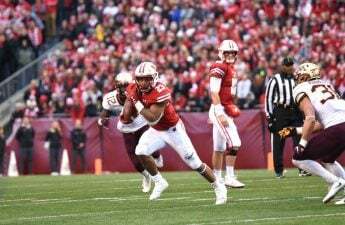 In fact, Saturday’s game was actually a relatively strong offensive showing for the Badgers. The Badgers rattled off twelve more shots on goal than OSU — all of which were saved by Buckeye goalie Andrea Braendli. Wisconsin put up numbers consistent with their offensive production all season, but simply fell victim to Braendli’s superb goaltending in the first of a two-game road series. Perhaps being shutout was merely a symptom of any lingering rust after the month-long sabbatical from competitive hockey. No matter the reason for their performance, the series’ second installment proved to be business as usual for the top-ranked Badgers. In a 5–2 win, Wisconsin once again saw its offense distance itself from their opponent in tandem with a sturdy showing from the Badger defense. It served as no surprise to see UW put up impressive offensive numbers against a top-ranked opponent, something they have done all season long. The Badgers needed just 52 seconds to find the net, as freshman Britta Curl notched her eleventh goal of the season off passes form Abby Roque and Sophie Shirley. Curl would later tack on her second goal of the game after goals from Shirley, Sophia Shaver and team-leading goal scorer Annie Pankowski. In total, Wisconsin outshot the Buckeyes 46-14 in an impressive rebound victory. 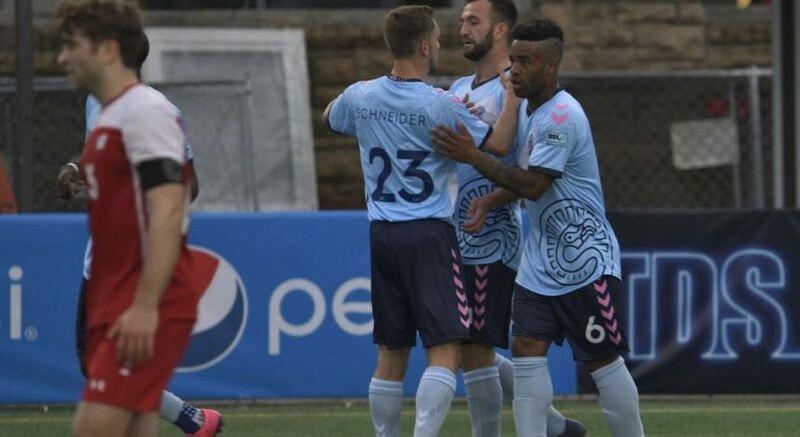 The shutout loss to begin the second leg of their season served as a shock to the system to the Badgers — yet, they were able to persevere in the second game of the series and ultimately maintain their long-held No. 1 national ranking. Perhaps more important moving forward, however, is the team’s stance within the WCHA — the Badgers have been unable to regain the top spot in the conference after their loss to Minnesota in October. Despite the Badgers and the Gophers both having two losses, one to each other and one to Ohio State, Minnesota remains ahead in the WCHA standings having played more conference games. The Badgers will have a chance to make up this difference with ten WCHA games remaining in their season compared to the Gophers’ eight. Securing a high seed for the WCHA tournament will be crucial for the Badgers as they seek to cap off a remarkable season with a Frozen Four appearance and, ultimately, another national title. 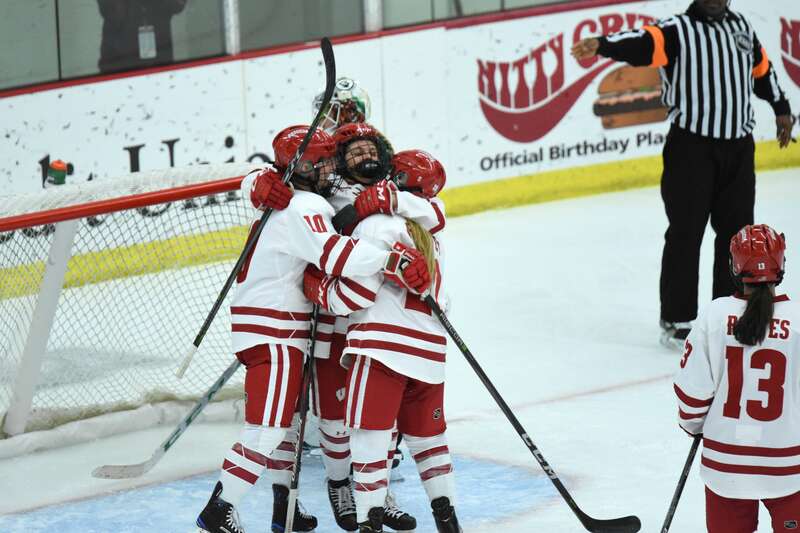 With a high seed in the conference tournament, the Badgers would face an easier path to a WCHA title that guarantees a berth into the highly selective eight-team NCAA playoff. Without this guaranteed berth, Wisconsin would have to rely on their national ranking at the end of the season to carry them to the tournament. Wisconsin has consistently made the NCAA tournament and advanced to the Frozen Four even when they did not win the WCHA. But each title that the Badgers have won since the inception of the NCAA Women’s Hockey tournament has coincided with a WCHA title in the same year. There is certainly no necessary link between winning the two tournaments, but securing a conference title and a high seed in the following NCAA tournament seems to aid the Badgers in achieving the ultimate goal of a national title. Looking to the remainder of the regular season, each of the Badgers remaining matchups are against conference opponents, with the upside being that the Badgers will face no new teams over the next 10 games. Some familiar foes should help the team finish the season strong, as they search for yet another deep run into the WCHA playoffs, which kick off Mar. 1 and the NCAA Tournament, which begins Mar. 16 with the NCAA Quarterfinal.